GeoBlue Xplorer is a superb international medical insurance plan for expats residing outside the U.S. It not only covers you overseas but unlimited cover in the U.S. once you are outside the U.S. for the first four months of your policy year. Our GNI Team gets this question on billing with those on this top-notch expat career insurance. What happens if my credit card was not debited for this month’s premium due to a change in my credit card status, such as a new expiration date? Does my updated credit card get charged twice the next month? Our enrollment team has confirmed that our system views this policy as delinquent because it was a late renewal (renewed AFTER the billing/effective date). When this happens, the “delinquent” premium is combined with the next charge to the credit card. Therefore, September and October premiums will be collected on or around 10/15. 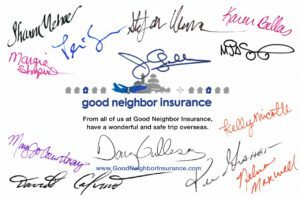 Check out both the Xplorer and Navigator expat career insurance options here at https://www.gninsurance.com/hth-geoblue-navigator-xplorer-overseas-travelers/#citizen or call our GNI Team of professional international insurance agents here at 866-636-9100 (toll free) or write us at info@gninsurance.com.